A warming climate could significantly boost medicinal and psychoactive properties of cannabis grown in California, according to the latest research. Hotter temperatures combined with relaxed marijuana laws could also put a strain on the fragile local ecosystem, as more people would start growing cannabis on their lands, the study published by The Daily Climate outlet added. 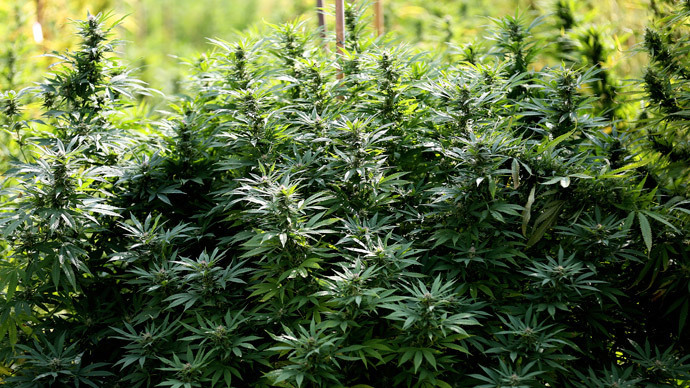 Marijuana planted outdoors is likely to become stronger and need less water to grow, Lewis Ziska, a plant physiologist with the US Department of Agriculture’s Agricultural Research Service who led the research, said. The increase in strength of cannabis could be due to the rising levels of carbon in the atmosphere, as plants evolved thousands of years ago in an atmosphere with much higher levels of carbon than these days, Ziska went on to explain. "If you go back to the times plants evolved on land, the average CO2 (carbon dioxide) levels were 1,000 parts per million; today it's about 400," he said. Only about 4 percent of plants on Earth have adapted to lower CO2 levels, most of them subtropical grasses such as sorghum, corn and millet. Cannabis is not among them. Another scientist, retired USDA ethno-botanist James Duke confirmed the findings, saying that when faced with harsh conditions like drought, cannabis tends to show more of their medicinal properties, CBS reported. "Something we learned in the garden … is that the more stress a plant gets — heat or cold or disease or just plain beating it — the more medicinal and less edible it becomes," Duke said. It is scientifically explained by the fact that stress converts proteins, carbohydrates and fats into secondary metabolites that protect the plant. The marijuana market is becoming more and more crowded in Northern California due to the ongoing drought in the region. Over 2009-2012, cannabis production doubled in the so-called Emerald Triangle [counties of Mendocino, Humboldt and Trinity], according to a 2014 California Department of Fish and Wildlife study. The main concern among experts is the huge amounts of water currently used by the cannabis growers, as it could dramatically affect fish and wildlife habitat, as well as water quality in the region.